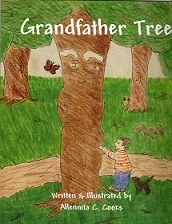 A little boy admires a tree that reminds him of his Grandfather. He talks to the tree and asks questions to see if the tree thinks and feels the same way he does. Ages 6 and under will delight in the colorful pictures and rhyme that helps make reading easy and fun.